FFA - University of South Dakota Biennial Women and Gender Research Conference shows Honor Diaries despite pressure to cancel. 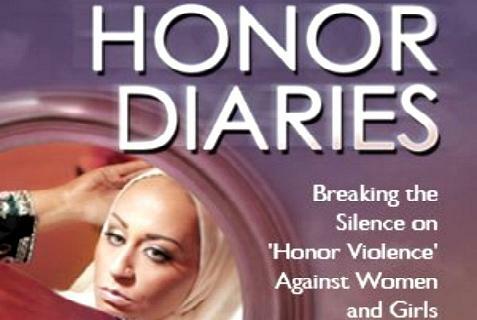 The University of South Dakota Biennial Women and Gender Research Conference showed the movie Honor Diaries despite pressure from Islamist sympathizers who wanted the showing cancelled. Florida Family Association sent out an email alert on March 31, 2015 titled University of South Dakota faculty following CAIR’s lead wants to censor showing of Honor Diaries. The email alert encouraged people to send emails to University of South Dakota’s Women and Gender Studies faculty and university officials to express their support for Miglena Sternadori’s determination to show the film. The email also expressed concern regarding university faculty who wanted to censor the truth about honor abuse. Approximately 2,550 people sent emails through Floridafamily.org to University of South Dakota officials on the first day of the online campaign. However, University of South Dakota officials blocked Florida Family Association’s email server before many could get through. The University of South Dakota Biennial Women and Gender Research Conference added Raheel Raza to the program shortly after Florida Family Association launched the online campaign. Raheel Raza is a spokesperson for Honor Diaries. Instead of backing away from the issue the program was enhanced with a noted speaker which was also reported in the Argus Leader article posted below. Florida Family Association saved the program before the online campaign was launched and several days after. Page 5 of the program shows the addition of Raza between the before and after copies of the program. Sternadori's refusal to cancel the screening has generated national attention. Tuesday night, she began receiving emails from people across the country. By Wednesday morning, she had received nearly 825. Most of the emails contained similar language thanking her for not bowing to pressure to cancel the film. Other faculty members were also emailed. "It's positive, but it's a little bit stressful, too," she said. The email campaign was sparked by the Florida Family Association. David Caton, the group's executive director, said his members wanted to support Sternadori for "sticking her neck out." "The whole issue is censorship," Caton said. "We want to stand with her because she's standing up against censorship." Caton added that honor abuse is a growing problem that will only get worse unless it's exposed. Raza and the other women who participated in the film have been accused of being "duped," because the backers of "Honor Diaries" have ties to Israel and pro-Jewish groups. But Raza said she was not naïve about the film's backing. She noted that Muslim nations such as Saudi Arabia – where women can't drive – or Iran have the money to back a similar film, but they haven't because they "can't handle the truth." "Of course I know who the backers are, and hats off to them for doing it," she said. Florida Family Association applauds Miglena Sternadori and the faculty who stood their ground. Additionally, Florida Family Association thanks everyone who sent emails to University of South Dakota faculty and officials.